In 1989 Our first Viader® Proprietary blend was produced, capturing an ideal balance between two varietals. The Cabernet Franc contributes to the early approachability, elegant structure and violet-like aromatics while the Cabernet Sauvignon adds complexity and character adding backbone structure for long aging potential. This blend has been referred to as “Liquid Cashmere”. Over the years, our portfolio of wine selections has grown to include a handful of other limited production wines. The Viader® “Black Label” is a unique, innovative blend created by second generation winemaker Alan Viader. The Viader® “V” is a reserve Bordeaux-style blend featuring Petit Verdot and Cabernet Sauvignon. The limited DARE® by Viader® releases are an interpretation of single varietal wines such as Cabernet Franc. Our distinctive Viader® Proprietary Blend shows the typicity and consistency of the Viader® estate, with its firm structure influenced by the rocky volcanic soils of the eastern slopes of Howell Mountain, and its elegant, yet intensely rich profile achieved through our signature combination of Cabernet Sauvignon and Cabernet Franc. Pioneered by Delia Viader, one of the first female winemakers in the Napa Valley, our Viader® blend put Delia on the map as one of the first in Napa to tackle and successfully showcase Cabernet Franc as a deserving blending companion with Napa’s King, Cabernet Sauvignon. In our iconic blend, Cabernet Sauvignon provides the backbone, structure, character and aging potential with succulent fruit and rich tannins, while Cabernet Franc instills a mellowed complementary balance and early approachability to the wine with beautiful aromatics, silky texture and an elegant finesse. Today, our Viader® blend continues our family winemaking legacy in Napa Valley, handcrafted by the mother and son winemaking team of Delia and Alan Viader. The Viader® “Black Label” showcases our mountain vineyard in a different light, by blending the best of four distinctive, low-yield red varietals grown on our estate vineyard on Howell Mountain. With this blend, our second-generation winemaker, Alan Viader takes a departure from our Old World tradition of Bordeaux-style red blends, yet he remains dedicated to our philosophy of consistently representing our magnificent terroir. Bold, structured and richly textured, our “Black Label” is a powerhouse cuvée headlined by our top lots of estate Cabernet Sauvignon and Syrah, and refined with the elegance of our signature Cabernet Franc and the soft, supple tannins of our estate Malbec. Their sum creates an age-worthy, statement wine representative of the infinite potential of our unique mountain vineyard. In the northeast corner of our steep, hillside vineyard sits a special, 1.2-acre plot planted to Petit Verdot where the soil is particularly rocky and the yields incredibly small. But however short on production these grapes are each vintage, they are always long on personality – which ultimately inspired the production of “V”, our interpretation of the Petit Verdot grape from our estate. Each year the “V” is blended with top barrel selections of our estate Cabernet Sauvignon and aged in 100% new French oak for up to 24 months. The result is a highly limited-production reserve Bordeaux-style blend with bold and rich dark fruit notes, followed by a long, smooth finish. Our DARE® by Viader® wines highlight our dedication to showcasing the very best characteristics from one location, with one varietal. In particular, DARE® by Viader® offered us the opportunity to bottle a single-varietal offering of Cabernet Franc from our unique mountain estate. 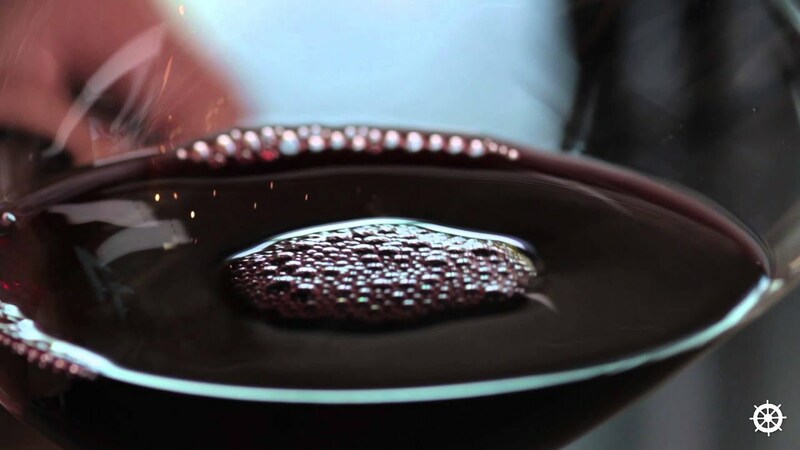 Crafted from the estate grapes that go into our flagship Viader® Proprietary Blend, our single-vineyard Cabernet Franc offers yet another lens into the unique terroir and distinctive tastes capable at Viader® estate. Viader® consistently produces award winning, limited production red wines.